Planning a move in or around Alexandria, VA? We are the company to call! Our moving and storage experts stand above the rest, so you can be assured of unequaled service and a stress-free moving experience. Are you a business looking to move? – we provide commercial moving in Alexandria too! From the historic sections of Old Town to the hustle and bustle of Shirlington, Craig Van Lines has been helping families and businesses move in this area with four generations of movers. 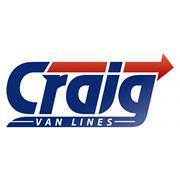 What Makes Craig Van Lines Different? Four generations and more than half a century, the Craig family has provided dependable, affordable, full-service moving solutions throughout northern Virginia, Washington DC and Maryland. Wherever you’re going, we’ll take you (and your stuff!) there. Craig Van Lines is recognized as one of the area’s most trusted residential and commercial moving companies offering a professional, personalized approach that is unmatched in the industry. Our licensed, bonded & insured moving pros provide quick and efficient local moving and packing services on an hourly basis, serving locations such as McLean, Mount Vernon, and Burke by the best local movers in Virginia. Moving in this area, however can be tricky and difficult at times. For example, we moved a home just three blocks from King Street in the historic part of Alexandria. The home furnishings matched the cobblestone street! There were all kinds of antiques and delicate items that we needed to move with care; and only an experienced mover with the correct equipment can handle the job. Not to worry we can handle any move and we can even move pianos or any of your delicate items with ease. Second experience with Craig; best ever. They showed up on time and ready to work. The packing was flawless. They went out of their way to be careful with everything they moved. I’ve moved 22 times in my life; this was the best ever. Affordable and Accommodating! Craig Van Lines was absolutely wonderful! We’ve used them twice, already, and will absolutely be using them for all future moves. They better not go out of business, ever, because they’re phenomenal and I want to use them every time I move for the rest of forever. They’ve always been impressively affordable, and absolutely outstanding in their customer service. Whether it’s moving a young man’s life through a busy Virginia corridor, or (for the second time,) moving that (slightly older) young man’s life to a new home with his new wife, they do a marvelous job. They’re careful listeners and hard workers and I’d absolutely recommend them to everyone. Good service, very professional. Craig Van Lines employees came and had me packed in one day, they came the next day and loaded my furniture on the truck. Everyone was efficient, didn’t waste time and professional. I was satisfied on both ends of the trip packing and unpacking once we arrived. Would highly recommend. Money Well Spent. I consider myself to be Blue Collar, but between my regular work schedule and family obligations I decided to pay a moving company for my recent 4 bedroom move. Moving is a BIG DEAL so I wanted it done right and 3 buddies and a case of beer wasn’t going to cut it this time. The movers showed up on time, we did a walk thru and they started working. If they had questions or needed me to clarify any issue, they asked. They moved several pieces that were extremely heavy and awkward without making a scratch on the furniture or the drywall which was really impressive. Once we completed they came in UNDER their quoted price and everything was as it should be. Top notch crew and service for a reasonable price. Here’s some great information about moving to Alexandria, VA! How Much Does Your Local Move Cost? Our highly competitive rates are determined by: the amount of time it takes for your move, the number of our pro movers required, the drive-time to reach your home to start the work and then to get back again after completion. Remember that elevators, stairs, and long walks add to the final cost. When you contact us, this will all be clearly explained with the next step being an accurate estimate for your review. As your moving day approaches, stress can build up. Relax, as we not only can help through our service providers, but we also have anything else you might need from wardrobe boxes to custom-built crates. Wardrobe boxes, which have built-in metal rods for hanging your garments, conveniently provide access, transport, and protection for your clothing. Each of these “portable closets” is available for rent on the day of your move for a minimal charge. We also offer a wide variety of other packing supplies such as small, medium, and large boxes and custom made containers for things like flat screen televisions, large art works, clocks, lighting fixtures, and so much more. We are the best local Alexandria movers and our selection of goods and services are unmatched in Virginia. If you require storage for your belongings, we have secure, temperature-controlled, and clean warehouses available. We are also glad to transport your items to any other storage facility you choose. We service all of Alexandria from the Potomac River all the way west to Arlington and south to the edge of Springfield. Call us today and learn why we are the preferred movers in the area. Was expecting the move to be a hassle - it was not. Prompt service. Responded to our questions and requests. Prompt, complete response to pay for 2 damaged items. Thank you for taking the time to complete a review of our company. We are so happy to hear that you were pleased with the services we provided, and despite two damages, still willing to provide a 5-star review. Thank you! We had a great experience with this move. This is the first time we've moved long distance and we heard all kinds of horror stories about long distance moving experiences. From our original meeting with our coordinator to the last piece of furniture was unpacked Craig van lines made what we thought would be a painful experience to easy and safe move. We highly recommend Craig to other who are planning a move. Thanks for all your help. Thank you for taking the time to complete a review of our company. We are very happy to hear that we exceeded your expectations for your move and appreciate you recommending our company to others, as that is the highest compliment we could receive. Craig Van Lines did an awesome job on my local move. The crew was very efficient, polite and careful with my belongings. I will definitely use them again and recommend them! Thank you very much for taking the time to complete a review of our company. We are happy to hear that you were pleased with the services we provided you and welcome the opportunity to service your relocation needs in the future should the need arise. If you are relocating to or from Alexandria, Virginia – trust Craig Van Lines to handle your move. Our professional movers provide customer-centric and top-notch moving services for your residential relocation, including homes, town homes, apartments, and more.